What there is a symbol of Belgium? What there is a brand of Belgium? 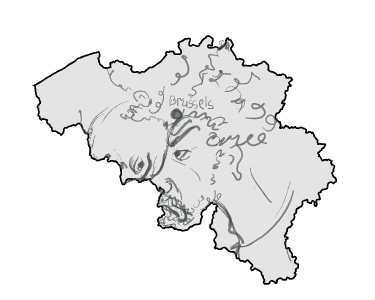 Who knows as look a typical Walloon and typical Flemish people?